Twin Dragons Twins, separated at birth, end up as a Hong Kong gangster and a New York concert pianist. When the pianist travels to Hong Kong for a concert, the two inevitably get mistaken for each other. Doomwatch The waters surrounding an island become contaminated by chemical dumping, and people who eat fish caught in those waters become deformed and violent. The Doctor and the Devils Grave robbers supply a doctor with bodies to test on. Spies The mastermind behind a ubiquitous spy operation learns of a dangerous romance between a Russian lady in his employ and a dashing agent from the government's secret service. The Deadly Bees Trouble strikes when an exhausted pop singer, sent on a vacation to a farm, realizes that the farm's owner grows deadly bees. 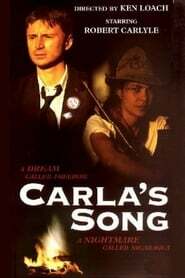 Carla’s Song A Glasgow man (Robert Carlyle) visits war-torn Nicaragua with a refugee (Oyanka Cabezas) tormented by her memories. Die, Monster, Die! A young man visits his fiancé's estate to discover that her wheelchair-bound scientist father has discovered a meteorite that emits mutating radiation rays that have turned the plants in his greenhouse to giants. When his own wife falls victim to this mysterious power, the old man takes it upon himself to destroy the glowing object with disastrous results.